The city currently offers residents a free parking pass for every vehicle they own, despite a limited number of spots. 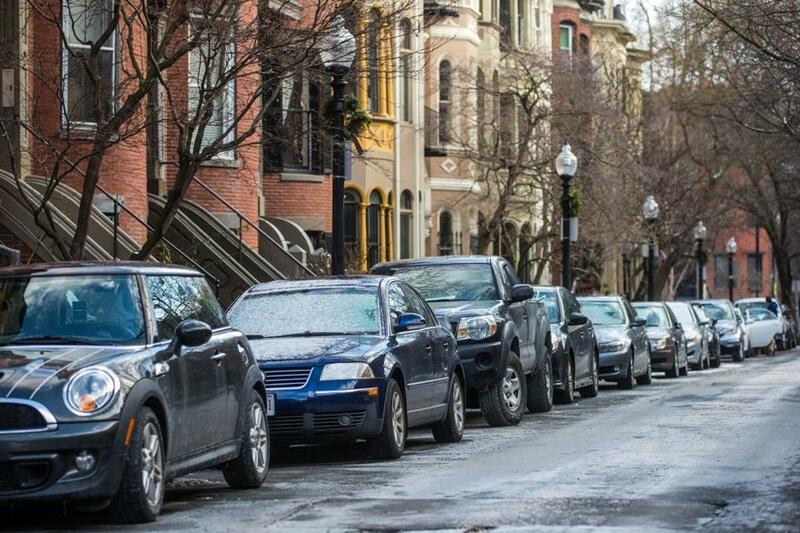 Pictured: Cars parked on Rutland Square in Boston. Boston’s new transportation chief is vowing to take a comprehensive look at the city’s parking rules after disclosures that the city offers residents a free parking pass for every vehicle they own, despite a limited number of spots. The review comes after the Globe found that more than 300 residences have five parking permits or more. One South End couple holds 11 permits and a city employee in the North End has five vehicles, but just one private parking spot. Earlier this month, the city’s acting transportation chief had defended the decades-old Boston program, which is unlike the approach in many other cities. Fiandaca said her department would consider an array of potential measures to help ease the city’s longtime parking crunch, such as limiting the number of permits per driver or address, charging for permits or shortening the length of time that permits are valid. Boston parking permits are currently good for two years, potentially allowing residents to keep permits long after they have moved out of the city. Boston has a policy of offering residents an unlimited number of parking permits for free and many are taking advantage. It is not clear how long the review will take, but Fiandaca said she will examine the “best practices” in other cities, consult with people who study the issue, and listen to members of the public before making proposals. Many other cities have been more aggressive about restricting permits. Philadelphia, for instance, charges heftier fees to people with multiple permits. And San Francisco issues no more than four permits per address. The city of Boston’s parking permit program gives residents the right to park on designated streets, but does not guarantee they will find a space. Residents in some areas say they often have to spend time hunting for a space or park blocks away from their home. One group in the North End estimated residents have about 4,000 parking permits for 1,500 spaces. Since 2008, the number of active residential parking permits has risen by 22 percent, to nearly 94,000, according to city records. But the city has no hard data on the total number of on-street parking spaces in Boston — something Fiandaca vowed to correct — or how many of those spaces are regularly occupied by residents with permits. Fiandaca’s pledge to review the city parking rules comes just a week after her predecessor, interim transportation chief James E. Gillooly, defended the status quo and said he did not see any reason to limit the number per address or charge for the permits. “We haven’t reached the point where we think we should be rationing” permits, he told the Globe days before Fiandaca’s promotion. Some City Council members also said they were surprised to learn hundreds of families had received five or more permits when parking is so tight. Wu said different solutions might be needed in different parts of the city, but pointed out parking is “one of the top issues that comes up” in her neighborhood. Indeed, residents in some neighborhoods do battle over spaces after every winter snowstorm, claiming spaces they shoveled out with everything from traffic cones to old patio furniture and threatening to vandalize cars whose drivers dare to park there. Another City Council member, Salvatore LaMattina, suggested the city should continue to give one free permit to each resident, but charge for additional permits to discourage people from parking extra cars on the street. Still, LaMattina, whose district includes Charlestown, East Boston, and the North End, noted there is no “magic wand” that will cure a parking shortage so severe that some people pay for a taxi so they don’t have to move their cars from prime spots. Some local residents also said the city must do more to address the parking shortage and discourage people from abusing the system. Stephen Fox, who cochairs the South End Forum, an umbrella group of more than a dozen neighborhood and business associations, said he thought the city could make modest changes, such as those suggested by LaMattina and Wu, to help reduce the number of permits. “I think there are things we can do that could improve the situation,” he said. But Fox said he did not think it was necessary to scrap the residential parking system altogether and cautioned that some finer details may need to vary by neighborhood. 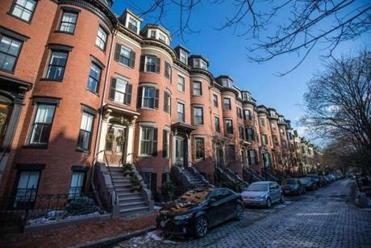 The residential parking program, first started decades ago in Beacon Hill, has gradually expanded over time to include streets in every major neighborhood in the city. But the city has made mainly small adjustments over the years, and usually based on resident concerns, rather than formal studies or data showing where the permits are held. “There is a need for data and data sources that is pretty extreme,” Fox said. Todd Wallack can be reached at todd.wallack@globe.com.